Courtesy of Run The Jewels. Thursday, February 2, at City National Civic, 135 West San Carlos St, San Jose. 8pm. $35. And Friday, February 3, at Fox Theatre, 1807 Telegraph Ave, Oakland. 8pm. Sold out. Run The Jewels’ Oakland stop at the Fox Theatre is sold out — but don’t worry, the San Jose show still has tickets available. 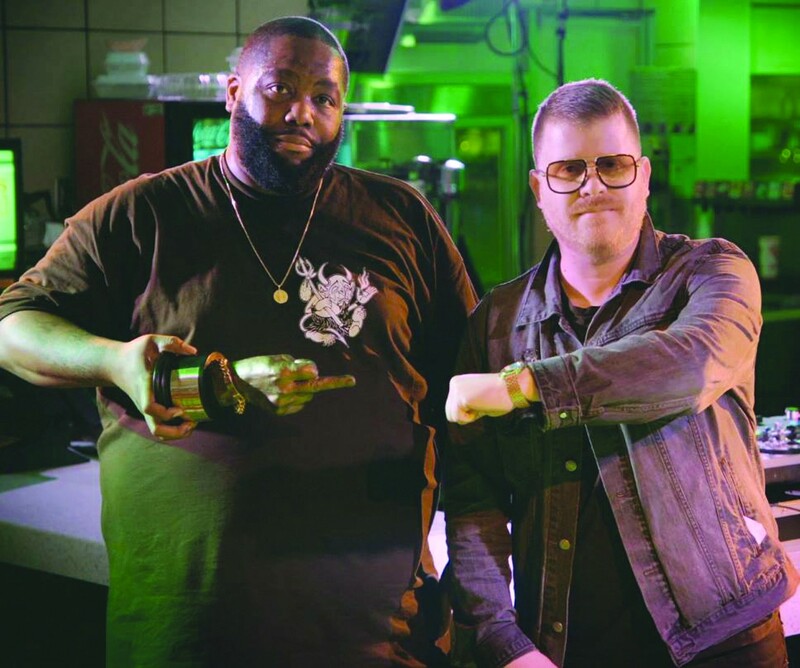 And with Run The Jewels 3 topping R&B/Hip-Hop Billboard charts at No. 1, it’s clear that the duo of El-P and Killer Mike are achieving new levels of popularity. I guess that’s what happens after an artist drops a record on Christmas morning, the perfect fourteen-track gift. The group’s highly anticipated Run The World Tour visits more than forty cities across the country this spring, including the aforementioned two stops in the Bay Area. Killer Mike and El-P teamed up with a lot of artists for their latest project, but the collab with Danny Brown, on a track called, “Hey Kids (Bumaye),” stands out with its clever wordplay. The Gaslamp Killer, an alternative/electronic hip-hop producer signed under Flying Lotus’s label, will open, along with female rap artist Gangsta Boo. Other acts include underground artists Nick Hook and Cuz.